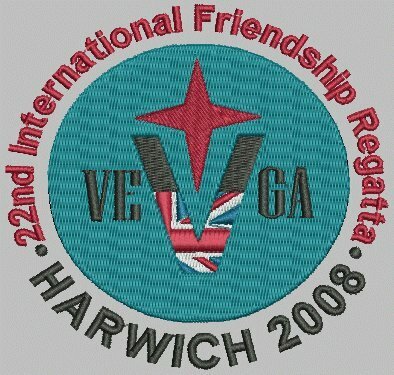 The 22nd Edition (2008) edition of the International Friendship Regatta, organised by the Vega Association of Great Britain, will be hosted by Great Britain for a week of racing and fun events, based at the Royal Harwich Yacht Club on the River Orwell between 30th June � 5th July 2008. Vega fleets will sail across the North Sea from Norway, Sweden, Denmark, Holland, Germany and Belgium to join over 20 UK-based yachts. The Albin Vega is a classic 27ft fast cruising yacht, designed by Per Brohall; over 3450 were built by Albin Marin in Sweden between 1969 and 1979. 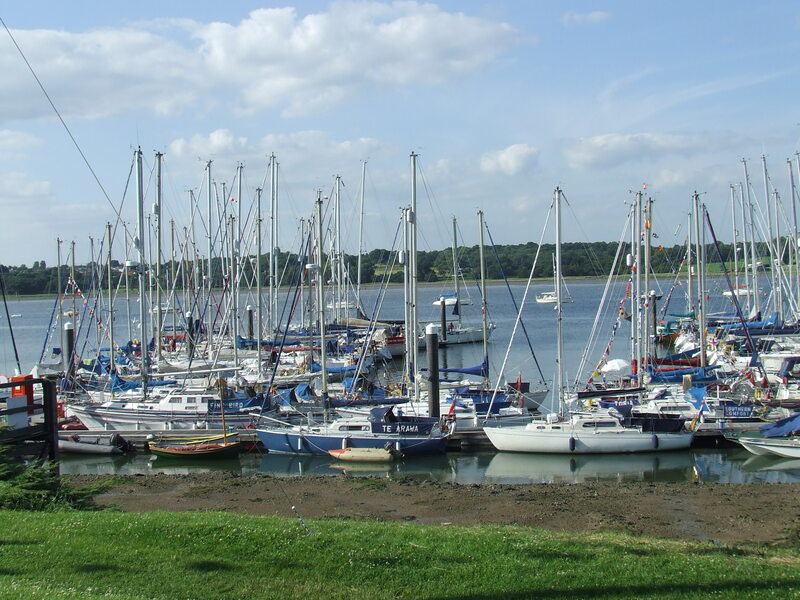 The fleet of some 30-50 vessels will be based in the Royal Harwick marina, with additional berths available at the adjacent Woolverstone marina. 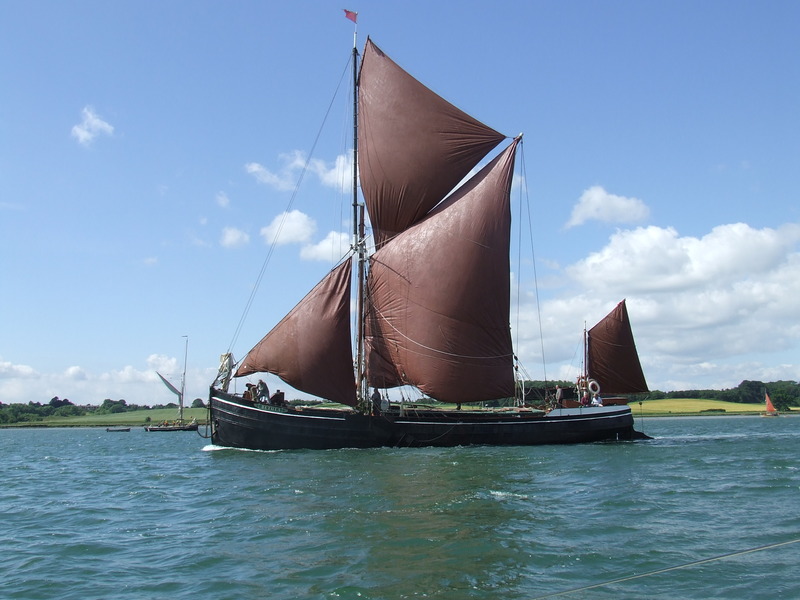 Speaking recently, Chairman Mike Freeman said: We are delighted to welcome the VEGA fleet which will participate in three races and engage in a number of evening events and visits to such places as Aldeburgh. In the past, British VEGA owners have participated in the IFR�s in mainland Europe. We look forward to welcoming our continental cousins and the prospect of American VEGA owners jetting in to join the fun. We reckoned for a comfortable passage to Harwich to split the 225 miles into five legs calling at Brighton, Eastbourne, Dover, Ramsgate then Harwich. We set off from the Hamble on Monday 23rd June and shortly picked up Martin Duffus in Thistledown, that is Martin�s acquisition since parting with his much loved Vega, Folie. 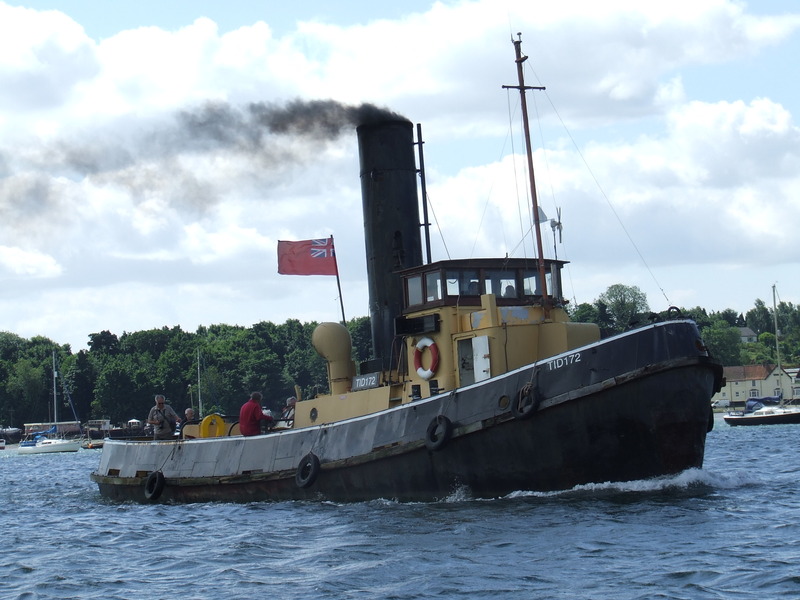 This meant we should arrive at Harwich on Friday, with the registration on Monday 30th June. Plenty of time and allowing the odd day�s rest if we felt like it. The first leg to Brighton was uneventful with light winds and a pleasant motor sail at the start, then 3 hours of great sailing, arriving at Brighton in time for afternoon tea, and a good sleep before the next leg.We planned our start time to gain advantage of the tides, on the next leg to Eastbourne. Winds were forecast to increase, and by 1200 had increased to S. 20kn. A fast passage with reaching conditions and locked in at Eastbourne at 1500. In the evening we were entertained by our friend Andy who has a Seatream 43 in Eastbourne Marina. We spent the evening in the yacht club bar (so no surprise there). Wednesday brought a change in conditions. We departed Eastbourne at 0800 on a dead run. With poled out genoa we averaged 5kn with tide against. The approach to Dungeness and beyond gave us some of the worst conditions we have sailed the Vega in. If this had been restricted to the wind that was now gusting 30kn we would have been fairly happy reefed down but coupled with the huge rollers it was becoming very uncomfortable. With regularity an extra high one would break as it approached and threaten to roll Miss Vega if we were anything but square on to the wave. Most of the time we got it right, then the approaching wave would lift Miss Vega�s stern and she would surf on the wave until it released us from its grip. We thought that after rounding Dungeness, conditions would improve but if anything they got worse. We were keeping in touch with Thistledown by text whenever it was convenient. Then the Autohelm gave up the fight and we were back to hand steering, which I must admit was safer as I could anticipate the waves better. It was then that we decided to call Martin rather than text and he reported that he had a problem and had lost steering. We stayed close from there on until we entered the tidal harbour in Dover. We had been experiencing problems with loss of control in reverse with the Combi (who hasn�t)?!!!!! So we had a glancing relationship with the harbour wall with the pulpit because the Combi decided to not check our forward motion � that�s my excuse and I�m sticking to it. After tying up we walked round to see Martin on Thistledown. In the horrible conditions an involuntary gibe had caused the mainsheet to catch on the steering binnacle and cleanly snapped it off at the base. Quick thinking Martin, after the initial shock, managed to disengage the linkage and connect the emergency tiller, and arrived safely Dover.We slept soundly that night. The days sailing proved to be tiring and extremely stressfull. We checked out the forecast and the decision of what to do next was easy. The forecast was for F7/8 until Sunday. So we were here for four nights whether we liked it or not. There was plenty to do. Our Autohelm had stripped a drive pulley so that needed examination or a new one. Martin�s damage was far more serious. A new binnacle was not available so we set to and repaired it with numerous steel plates. Martin�s emergency tiller was put to use for a second time when it was applied to Miss Vega�s distorted push pit. We made the best of it during our stay and visited Dover Castle and the Secret Wartime Tunnels and Dover Museum. Then we found the Painted Roman House to round off our local history education. The evenings were no problem and I think we must now be honorary members of the Royal Cinque Ports Yacht Club. On Thursday, the day after our arrival we were joined by Malcolm Ellis on Morwen and Stuart & Karen on Pampero of Down. We walked to the end of the pier to witness some extreme conditions for their arrival into Dover. The previous day we had arrived in the same conditions, and were pleased to be safe in Dover. Every day we visited the harbour office to check the forecast. It changed very little � F6/7 with rough seas. Finally we make a plan on Monday 30th June and depart Dover at 0500. We went out with 1 reef and F3 but soon shook this out. The 70Nm were covered at an average of 5.6kn. The wind slowly built up to around 22kn and increasing waves on the final approach but a vast improvement in conditions once clear of Dover. We arrived at 1730 in good time to register for the start of the Regatta. First we tidied up the boat before meeting everyone in the Yacht Club where we were made very welcome. 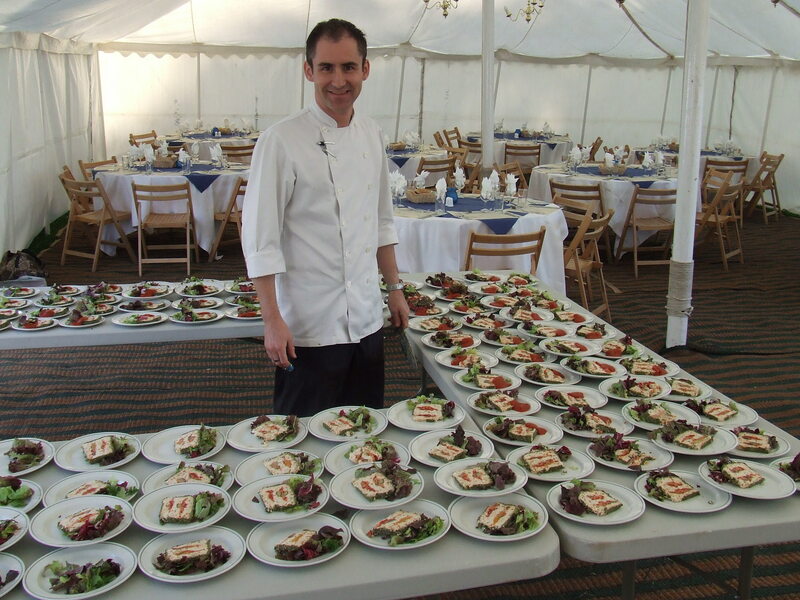 A huge marquee had been erected on the lawn overlooking the boats on the river, and it looked like everything was under control. A relaxing evening was spent discussing our voyage and knowing we could sleep on the next morning. Tuesday was a rest day � yes please! We needed that for repairs and recovery. The Autohelm had failed again and we believed we would have to find a replacement. A bit of engineering brought it back to life once more. We made a good friend of Cai from Denmark who had sailed the 660 Nm to attend the rally on his Hallberg Rassy Monsun 31, Helena. Cai is also an ex Vega sailor. It seems once a Vega sailor you can�t loose touch. There was no time for relaxing once we were in the folds of the RHYC. Any spare time was organized with entertainment. There was no time to get bored. Wednesday was the first race day with the first race starting in the River Orwell and finishing in the North Sea off Felixstowe. Miss Vega sailed in the racing group and put in a excellent performance, leading in the River section until the whole fleet hit a hole as it passed Felixstowe docks. With boats drifting on all points of the compass it was anyone�s race. The Cruising Class all closed up and there was just one group. Spinnakers were dropped. Stormer from the Dutch contingent found a lift to pull away from the group. Miss Vega finished 2nd. The second race was all at sea. Miss Vega again finshed 2nd in the Racing Class. We had Martin on the helm for these two races and were pleased with our result, that is until we were protested out of the 1st race for taking a buoy on the wrong side in the river. Ah well, you win some and lose some. It was still great fun. That evening was another startling performance from our entertainers in the marquee. We had to exercise some restraint however as the next day was the final race. This required the long stretch from the RHYC to the race course. Anne and I decided only at the last minute to enter as we were effectively out of the running with our disqualification in the first race. Anyway, we had made the voyage so we wanted to complete all the races (well some of us wanted to). We arrive late at the start and went off the wrong end of the line. The two of us could not fly the spinnaker, and the wind had increased so we were light in the boat. It was a tough race with a difficult tidal stream at the last mark that caught many boats out. We finished 4th as expected. That was the racing, our first attempt in the Vega Regatta. 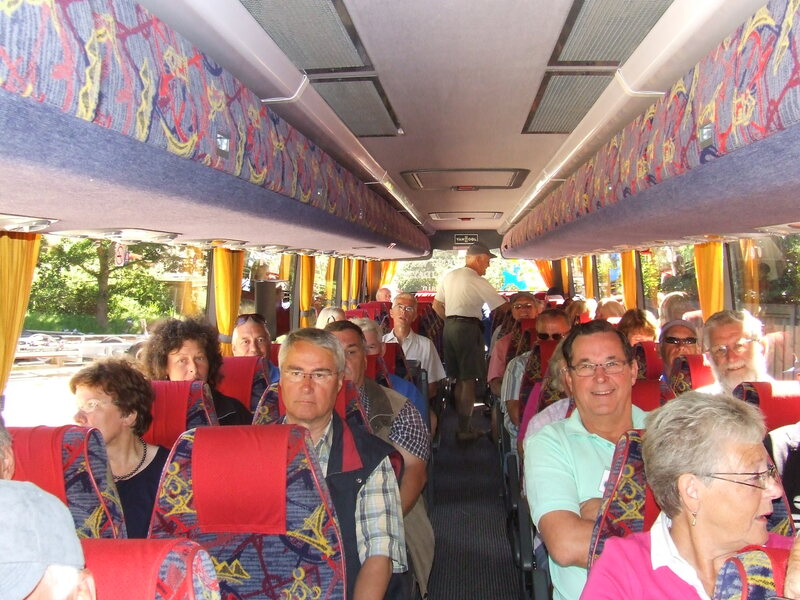 Next day was Friday and a coach trip had been organized to visit some of the local beauty spots. We travelled along the Orwell to Ipswich, then visited Aldburgh on the coast for lunch. Aldburgh is an un-spoilt seaside town with a steep shingle beach. It has it�s own special lifeboat built to launch from the beach. The next treat was to visit the Maltings at Snape, famous for Benjamin Britten and Peter Piers operas. Finally we called in at Woodbridge, another East Coast gem with its tidal mill and other attractions. 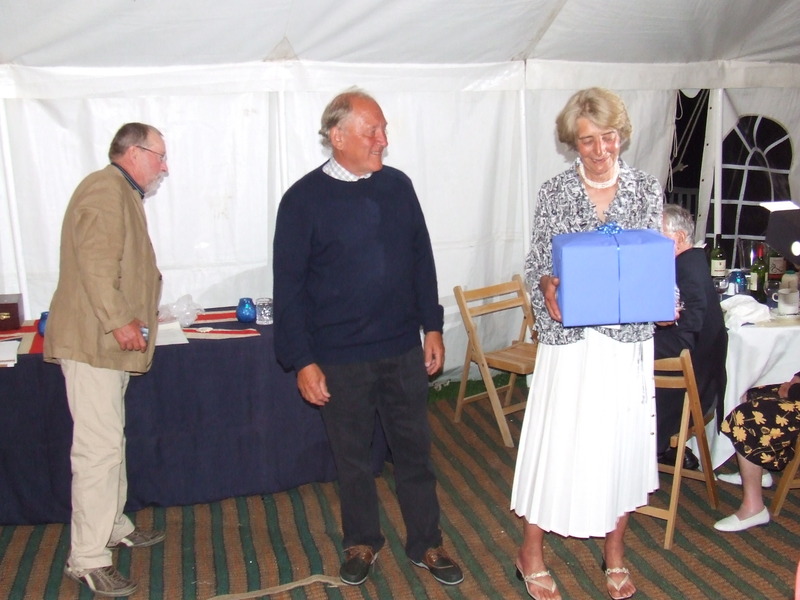 The Friday evening was given over to the prize giving and dinner. Stormer was the winner of the Racing class. Edith John (UK) was the winner of the cruising class. Diana Webb receives her award.... well deserved. 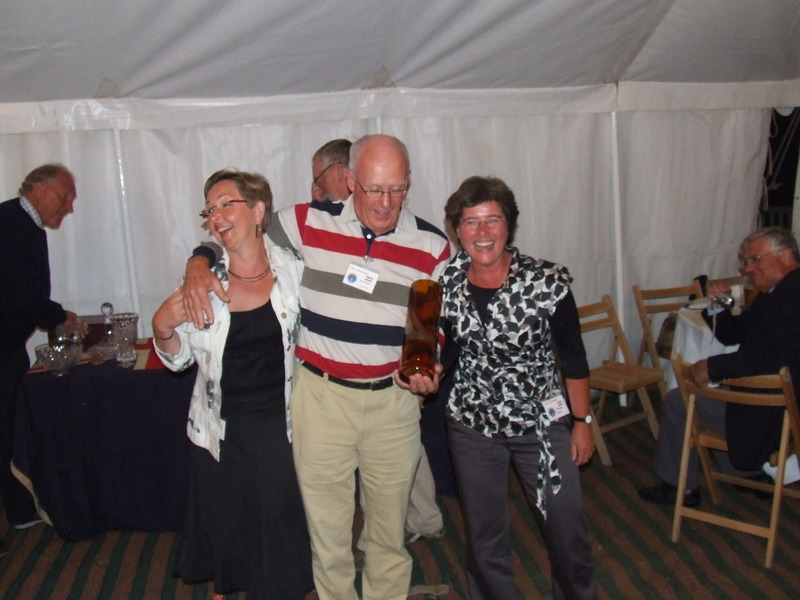 Saturday was the official end of the regatta and speeches were given by Mike Freeman and by the Dutch contingent. Everyone had enjoyed the week�s activities and this was evident from the discussions going on between new and old friends before the Regatta broke up and everyone made plans for retuning to their home port. Some work on the Combi to improve the low speed handling was carried out ready for the return trip. The weather was again in control. Saturday, Sunday and Monday were spent at Harwich waiting for weather. We learnt later that early leavers on Saturday had suffered knockdowns in the North Sea. On Tuesday we made a run for Ramsgate. Two reefs and half Genoa made it sailable but once inside Ramsgate we were in for a very rough night due to the surge inside the marina. Things were getting desperate. The weather was not forecast to improve. F6/7 and rough seas was the norm so we made plans. We would leave Ramsgate at 0830 to coincide with slack water at Dungeness and head for Dover. It rained most of the way with rough seas in the Goodwin Sands. We arrived at Dover in rough seas and worsening conditions. We did not expect to be spending a further three nights in Dover but at least we were safe from the pleasures of the North Sea!! We were in good company with the crews of Morwen, Thistledown, Helena and Miss Vega all making the best of it. We fitted in a ferry trip to Calais for a day and the time passed quickly with further visits to our adopted Royal Cinque Ports Yacht Club in the evening. Morwen�s crew starts to decimate as time stretched out, so Malcolm decides to move Morwen into the inner harbour and go home by train, to arrive back some time later. That left Miss Vega, Thistledown and Helena for the rest of the journey back to the Solent. We finally departed Dover on Saturday 12 July with a plan to reach Eastbourne and then decide to enter or press on to Brighton. We slipped out of Dover West entrance at 2056 and sailed through the night in pleasant conditions. We had visual contact with each other throughout the night after passing Dungeness at 0100. Closing on Eastbourne at daybreak we conferred by mobile and agreed to press on to Brighton, arriving at 1100 on Sunday 13th July. After tying up and refueling, we confer and agree that this break in the weather will not last. So decide to have a few hours sleep and set off again for the final leg to the Solent. Still feeling like more sleep we leave Brighton at 1700 into unpleasant conditions. 20kn on the nose, big stopping waves and foul tide. Oh yes, we were motor sailing. Now Miss Vega was lacking power from the MD7A. We call Thistle and Helena and tell them to carry on as we are going to sail to try and improve progress forward. We set two reefs and half genoa and make 4.6kn over the ground. It was during the hours of darkness that we had a hairy moment. In the distance we picked up a Green light against a cloudy dark sky. This changed to a Red & Green. We could see that we were on collision course but could only tell it was a yacht. As the form of the vessel came into view we could see it was under spinnaker and that they were clearly blind to anything in front of the sail. We were motor sailing so the give way vessel and made a full tack to port until the yacht had passed. I am sure the helmsman was totally unaware we had avoided him! As we are making long tacks and against the tide, our VMG is depressingly slow. We will take ages at this rate, so bag the sails and turn on the motor once more. As the tide turns we begin to make better progress. As the Looe channel Red and Green buoys come into sight we call Martin on Thistledown and they are about a mile in front and searching for a Red off the shore. We didn�t find it either and later discover it was unlit. We make our way through the East Solent in total darkness and finally arrive at our berth in the Hamble at 0630. 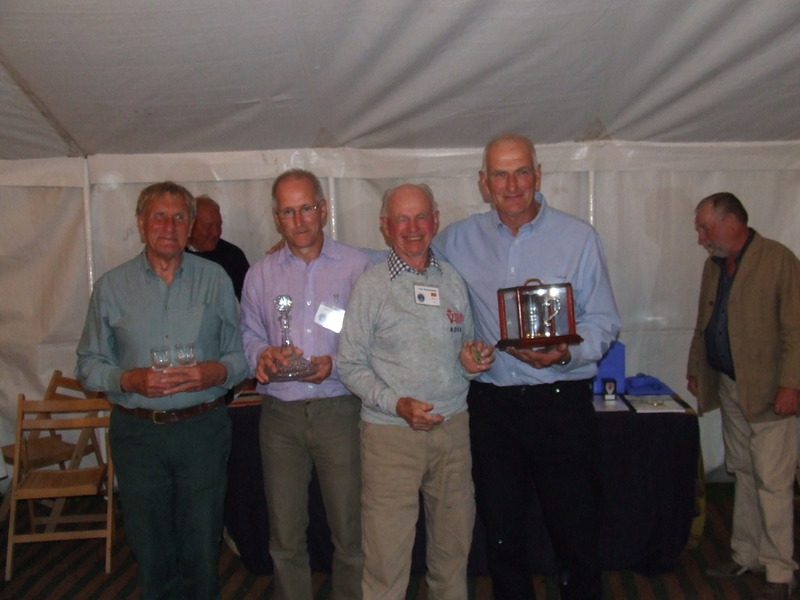 Summing up, a great time at the Regatta and excellent organisation by the Vega committee, some exciting sailing in conditions you would normally choose to avoid. Many thanks to the host club the Royal Harwich Yacht Club, and the Vega organizing committee. A pity about the weather but if you sail through the Dover straits into the North Sea you will no doubt learn to expect - or should that be respect � it.